Sass Brown is the Founding Dean of the Dubai Institute of Design and Innovation. Prior to joining DIDI, Sass was the Interim Dean for the Fashion Institute of Technology’s School of Art and Design in New York. She is a graduate of FIT’s Global Fashion Management Masters program, holds her Bachelors degree in Fashion Design from Ravensbourne College of Art and Design in the UK, and is currently undertaking her PhD at Manchester Metropolitan University, also in the UK. As a fashion designer with a background in sustainable development, Brown is an advisor for Sustainia100, the annual Danish sustainable solutions guide that honours developments in sustainability across a multitude of industries. She was also an Associate Design Researcher on the MISTRA Future Fashion educational research consortium that advises on the integration of sustainability into mainstream fashion. As a researcher, writer and educator, Brown’s area of expertise is ethical fashion in all its forms from slow design and heritage craft skills to recycling, reuse and alternative business models. 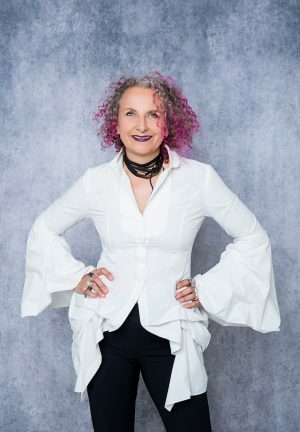 She has published papers and spoken around the world on the topic of sustainable fashion, she has served as a sustainable design advisor to women’s cooperatives, educational institutions, governmental agencies, NGO’s and small and medium sized enterprises around the world. Her publications include the books Eco Fashion and ReFashioned for British publishers Laurence King, are also published in Italian as well as Spanish. Eco Fashion Talk is now being managed by Moon Jerin who will be taking the site to new and inspiring places, based on the years of published material that lives in Eco Fashion Talk. Moon Jerin is an Account Director at one of the prominent marketing agencies in Toronto. Her journey to this point was anything but planned. She has lived and worked in Asia, Canada, USA and in the UK. She started her journey in Engineering, far from fashion. However, it helped her develop the ability to look at anything beyond what catches the plain eye. She fell in love with the skin care and cosmetics and would spend hours to study them and their chemical properties. As much as she has enjoyed the aesthetics, she was equally interested to know how does it really make a difference under the difference. Over time She looked at fashion the same way. Dissecting the manufacturing process and understand the long term effect of every step that goes into making her favorite piece of clothing. Moon have graduated with an MBA in Global Strategy and Marketing and since then she has been putting her business acumen into building a brand to save people time and at the same time promote sustainability.